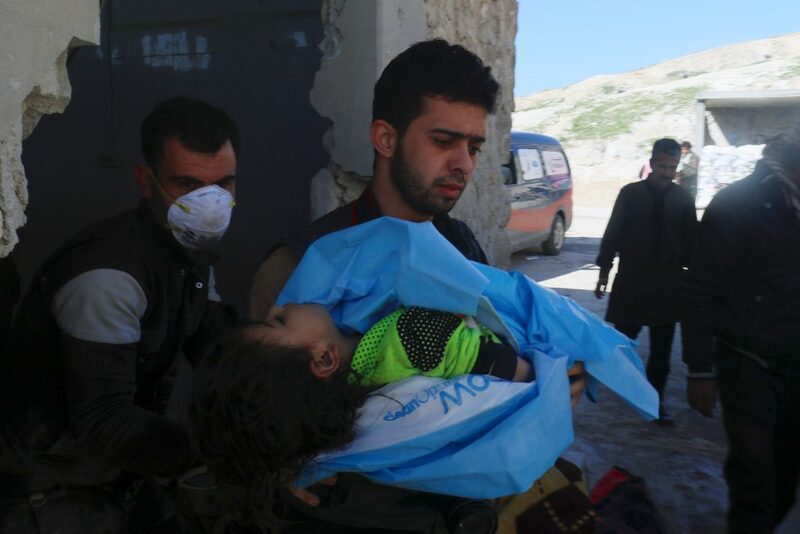 A humanitarian group said a suspected chemical attack in rebel-held Idlib province in northern Syria on Tuesday killed at least 58 people, including 11 children. The UK-based Syrian Observatory for Human Rights said the death toll was expected to rise, because 160 people also were injured in the attack. The gases caused symptoms including suffocation, iris shrinkage and general spasms, the group reported. It claimed warplanes from either Syria or Russia dropped the weapons. 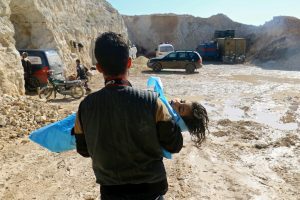 Russia’s Defense Ministry responded that none of its planes delivered any strikes in Idlib province, the Associated Press reported. 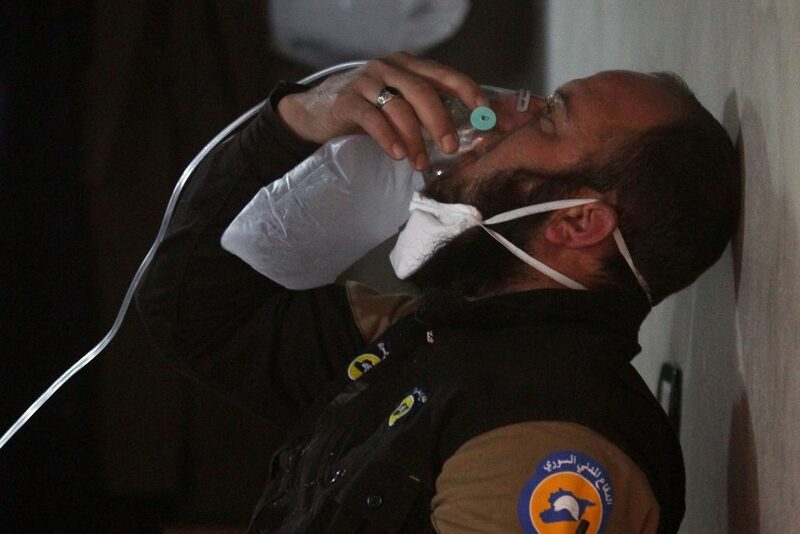 The Syrian army also has denied using any chemical weapons against civilians in Idlib province, reported Reuters. U.N. envoy to Syria Staffan de Mistura called for the perpetrators of the “horrific” attack to be held accountable. The United Nations previously confirmed the use of sarin gas in rebel-held portions of Damascus in 2013, though it did not say which side launched the attack. Following that attack, Syrian President Bashar Assad agreed to destroy his chemical weapons cache in a Russia-brokered deal. When asked what President Trump would do, Spicer said he was consulting with his national security team and would decide, with U.S. allies, the way forward. PBS NewsHour anchor Judy Woodruff spoke to Andrew Tabler of The Washington Institute for Near East Policy and Susannah Sirkin of Physicians for Human Rights on Tuesday’s broadcast.